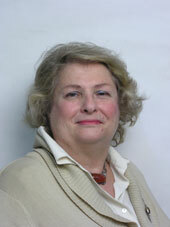 Mary Zafeiropoulou is a curator of antiquities in the Bronze Collection of the National Archaeological Museum. She has studied history and archaeology at the National Kapodistrian University of Athens and also holds a degree in English Literature from the same university. She has a MA in Museum Studies from Leicester University and her dissertation is on “ The role and development of Archaeological Museums in Greece ”. She has worked at the British, Birmingham and Leicestershire Museums and since 1973 in the Greek Archaeological Service conducting many excavations in Thasos, Seres, Athens and Eleusis. She has contributed to the writing of catalogues for exhibitions organized by the Greek Ministry of Culture, and to various publications. The last years she is dealing especially with the Antikythera Mechanism discovering some new fragments and since 2005 she participates in the Antikythera Mechanism Research Project.